A solid Canadian Path experience has the youth actively engaged and leading the preparation, delivery and review of the week’s adventures. 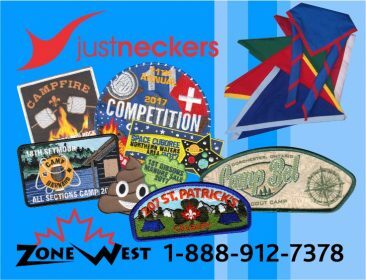 This means more that providing a few Trail Cards, having the kids read them and then doing the camp-counsellor-planned activities. Get the youth involved in the ongoing planning of the week – pre-camp surveys sent out to the registered Scouts will help determine the focus/theme for the week. Once a loose structure is in place, the youth can collaborate in their Lairs, Patrols or other small teams to plan and deliver the program day-to-day. Allow the teams to make choices and set the course of the day/week. Also keep in mind: Youth-led means Cubs are leading the Cubs, not a Venturer leading the Cubs. Give each youth the opportunity to take on a leadership role throughout the camp. Make use of the Howlers, Trackers and Runners. Sure, our counsellors, staff and volunteers need to help facilitate the great, safe adventures, but if a safe ratio has been met, perhaps these adults can find things to do other than ‘supervise’ each activity. In other words, Scouters attending summer camp may wish to bring along a good selection of books to enjoy. Camps need to be prepared to ensure youth are involved in all the stages of the program delivery – youth do the planning, doing and reviewing of the activities. We need to provide the opportunities for all the youth to get involved in the planning of the activities at the camp – be it deciding whether to spend some time on the ropes course, visit the archery range or take an afternoon swim. Youth should also be involved in preparing the equipment and developing the safety guidelines before the activity is started. It is their program – let’s let them own it. Of course, actually doing the activities is when youth should have the most fun. Counsellors need to ensure the activities are done safely. Reviewing should not wait until the end of the week, nor the end of the day. Counsellors should facilitate reviews at key opportunities every day. This does not need to be onerous. A review can be done while waiting for lunch, hiking out to the beach or enjoying a campfire. Even free time can be reviewed. What did you do? What did you learn? How can you improve your next free time? In preparing for the summer camp, ensure the staff/volunteers working with the youth have tools to facilitate the youth leading these reviews. Don’t forget to incorporate the SPICES into the reviews. Scouting is about developing the whole person. The SPICES are the objectives underlying every adventure. The Plan-Do-Review model used for all aspects of the program encourages the growth of the youth in all the SPICES (social, physical, intellectual, character, emotional and spiritual). Ensure all youth experience and explore the SPICES throughout the week. Provide all the staff and volunteers with the tools to encourage SPICES-related conversations. Summer camp should be a series of adventures. I know every summer counsellor’s goal is to provide all the youth with amazing adventures – so work with the youth to make it happen! Sure, routines do occur (e.g. eat at the dinning hall at 5:45 pm), but how can the youth be involved in changing up those routines and having more adventures? For example, Cubs can cook their own dinner over a fire, on camp stoves or even in the camp kitchen. Ask the youth, “How can we make this better?” Get the youth involved in creating a lot of memorable adventures. What do we do about the Outdoor Adventure Skills? Of course summer camp is the ideal place to explore the outdoors and learn and practise outdoor skills – so let it happen. Provide opportunities for the youth to try a variety of outdoor skills – lighting fires, using camp stoves, paddling on the lake… Provide the supervision and instruction so that they can pursue these outdoor activities safety, but don’t build a summer camp program focusing on teaching and testing the Outdoor Adventures Skills. Go have adventures and let the youth learn the skills. Let’s help to build exciting and rewarding summer camp experiences that allow youth to explore the many adventures camps offer. Get the youth involved in the preparation, doing and reviewing of great, safe summer camp adventures. See you on the Canadian Path!